Hello everyone! Well, Memorial Day weekend is upon us. This is the start of the summer salad season; when family and friends ask me “oh, can you please bring that yummy coleslaw that you make?” or “love that blue cheese potato salad, think you bring that?” and then of course there is the pasta salad, my personal favorite (and my mother-in-laws) that I am asked to repeat over the course of the entire summer season. The first few times I make them it is fun and exciting but after that the excitement dwindles, then one Saturday at the end of August when I have made these and other salads umpteen times, my husband comes in the kitchen, asks for a taste and tells me how good it is….and then I am happy to be making them again! I am going to share these recipes with you now. They are classics with a bit of creativity. Before I start with the recipes I just want to share a bit of wisdom, perhaps many of you know this already but only learned this recently. 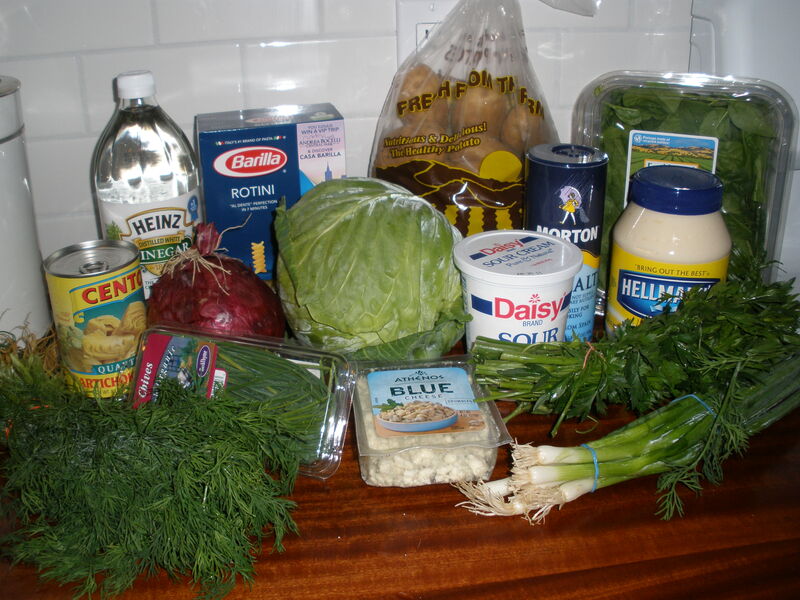 When making these types of salads with a mayonnaise base, mix the wet ingredients together first with the salt and pepper, herbs, etc to make the dressing, then add to the potatoes, cabbage, pasta or whatever else. It sounds so simple and makes a big difference…I wish I had figured this out sooner! 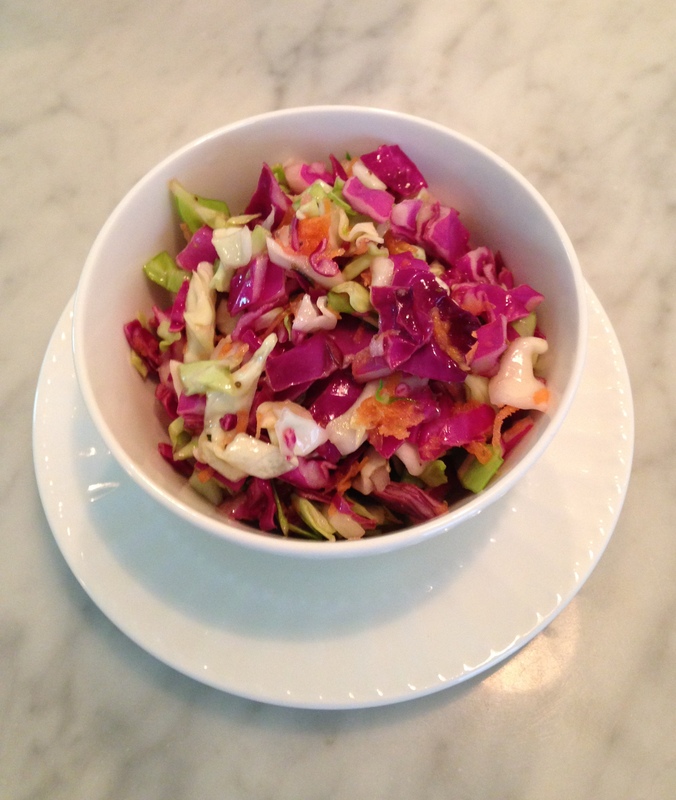 First, I am sharing my coleslaw recipe that is a big winner-it has herbs that give a nice fresh taste but still has that classic “slaw” taste. Mix all ingedients except cabbage in a large bowl, stir well to combine. 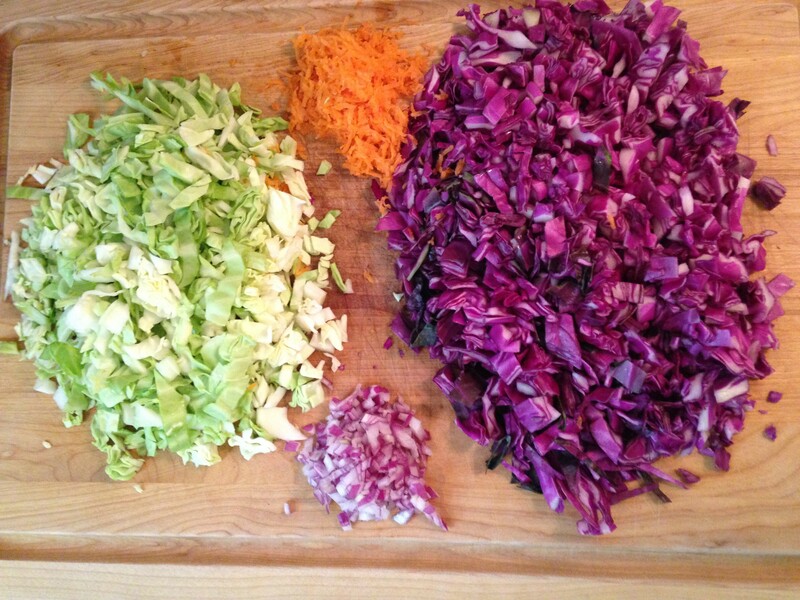 Add cabbage and toss until evenly dressed….let sit about 30 minutes and ENJOY! Cook potatoes until done. Mix all ingredients except potatoes in a large bowl until combined. Add the potatoes until well dressed, let sit for at least 30 minutes… ENJOY! Cook pasta according package directions and the tortellini. I usually cook the pasta and add the tortellini in with it when there is 4 minutes to go. You can do this if you use the tortellini that cooks for 3 to 5 minutes. Drain, rinse with cold water and let cool. Put the pasta and tortellini in a large bowl, add the remaining ingredients, combine well and ENJOY! I hope you, your family and friends love these recipes as much as mine. Have a happy and safe Memorial Day Weekend and remember why we are celebrating-to honor those soldiers who have died for our great country.